Having the right information and tools readily available is key to making informed compensation decisions for your employees. UltiPro®’s compensation management solution helps you make effective decisions regarding future compensation for individuals, or entire teams. You can enjoy an intuitive experience paired with relevant business and talent data to easily navigate through allocating rewards, while keeping the focus on your people. 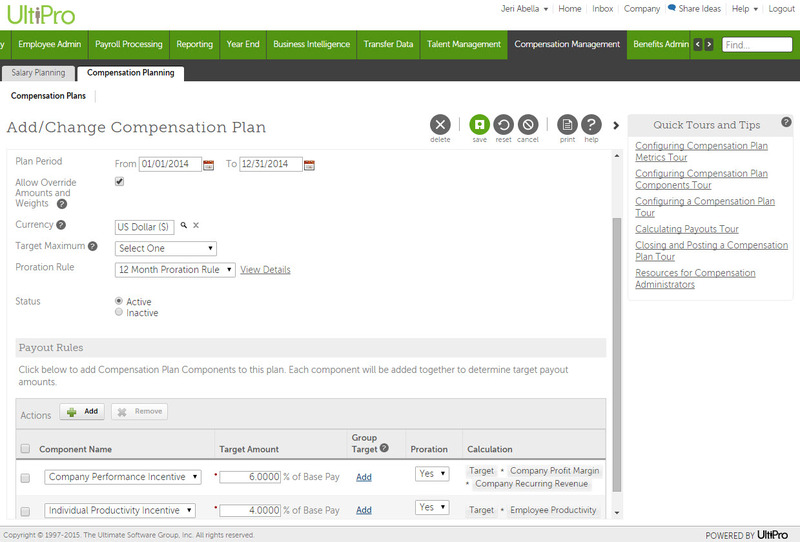 Easily create compensation management plans that will reward employees and strengthen the alignment between individual contributions and business performance.